Although drinking more quantity of water is necessary, drinking H2O which is plain glass by glass could become boring. Though it might not be a good choice to buy alternatives like water that is flavored. According to a new study from the University of Toronto and Ryerson University in Canada there is almost no benefit from the addition of nutrients to energy drinks, vitamin waters and juices. Almost every beverage that is boosted contains extra sugar, it can actually be harmful for your health (The Worst Drinks for Your Body also mentions these beverages). If drinking water has become boring for you, there is a more interesting way to suppress the thirst: The flavor can be upgraded by making waters that are infused without any nutritional drawbacks. Just put some herbs and fruits in the water to sit for couple of hours and feel the result! A water’s alternative that is healthy and delicious. 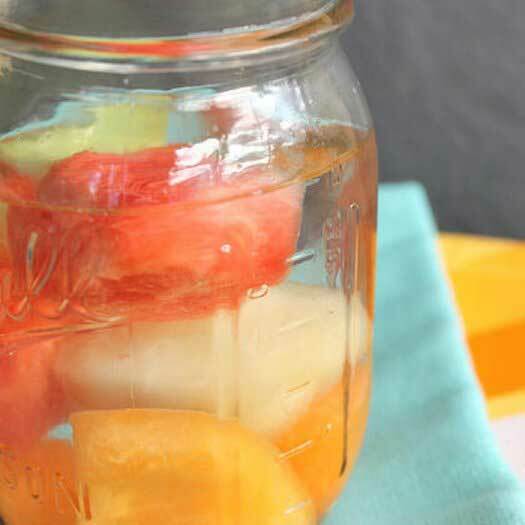 To prove it, we’ve got 8 delicious fruit and herb infused water combinations. 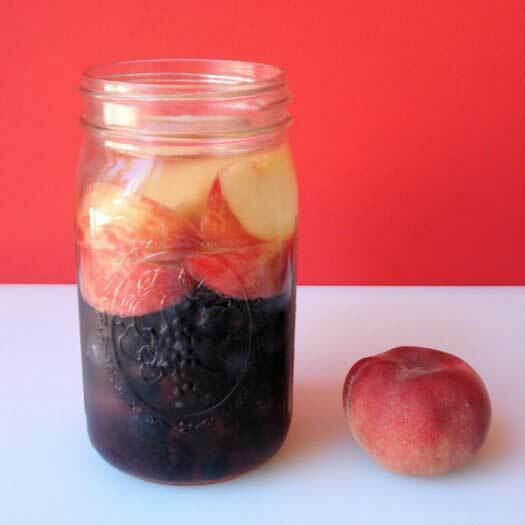 Put blackberries and blueberries on jar’s bottom. On the top of that put the slices of peach. Pour the coconut water and the spring water in the jar. Stir the water and put the lid on the jar. Leave it in the refrigerator minimum for an hour or leave it overnight to feel the flavor better. Drink within two days. The amount you will drink is 64 ounces. 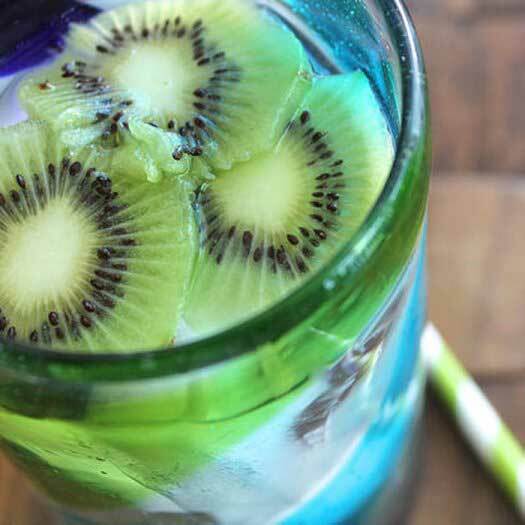 Use a pitcher or a Mason jar (64-ounce) to put the kiwis that are sliced. Refrigerate until cold and enjoy. Use a glass that is big enough to mix the ingredients. Leave it for 5 minutes and enjoy. Put raspberries in the jar’s bottom. Add the dates, then layer the lemon slices on top. 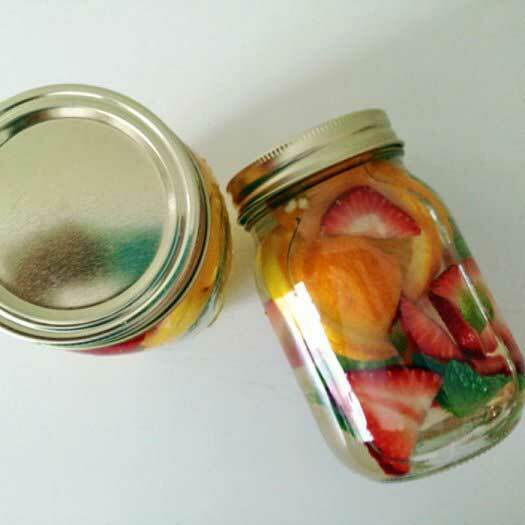 Add water in the jar and close it with a lid. 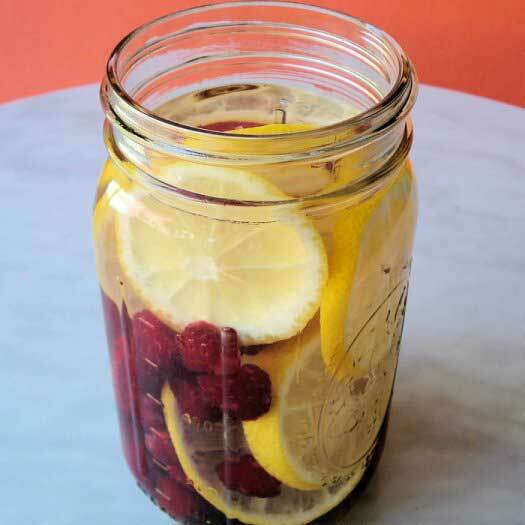 Use the refrigerator to infuse the water by leaving it in it for 1 hour. Use a pitcher or a Mason jar (64-ounces) to put the melons. Add the water over them and chill. Serve over ice. 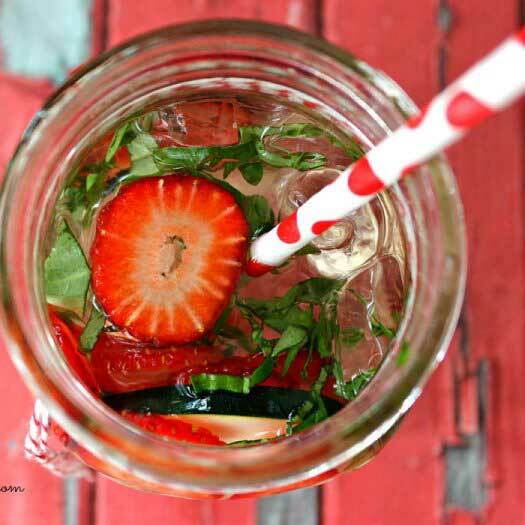 Use a Mason jar to put all herbs and fruits. Seal tightly the Mason jar. Leave it in the refrigerator overnight. 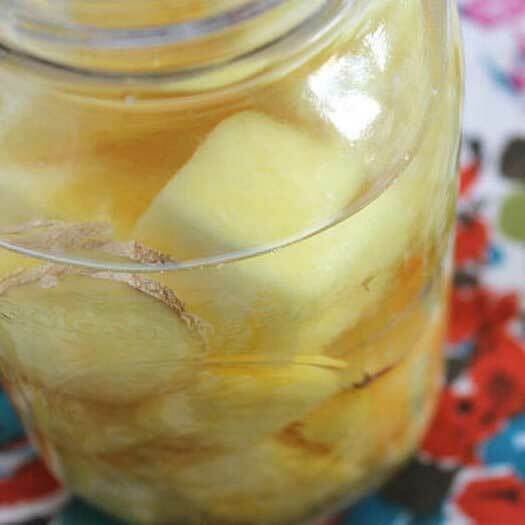 Use a pitcher or a Mason jar (64- ounces) to put the ginger and the pineapple. Pour the water over top and refrigerate until cold. Serve over ice. 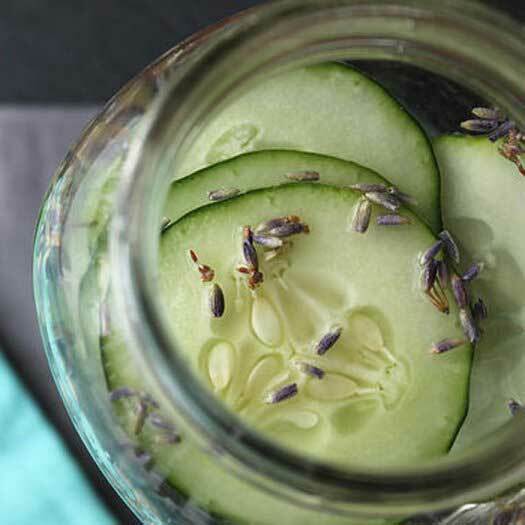 Use a pitcher or a Mason jar (64-ounce) to put the lavender and cucumbers. Pour the filtered water. If using dried lavender, strain before serving.